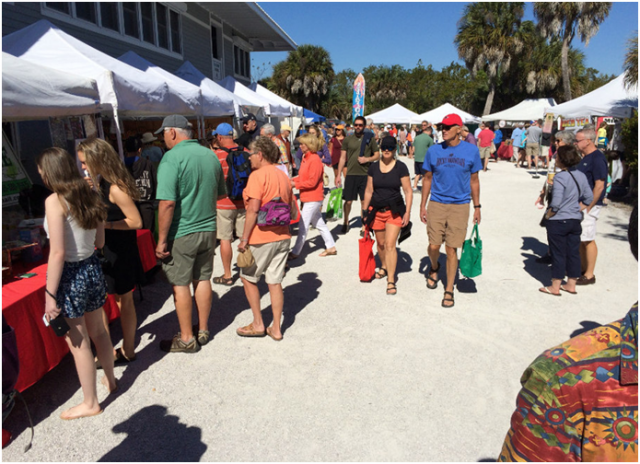 It’s Time for the Farmers Market! 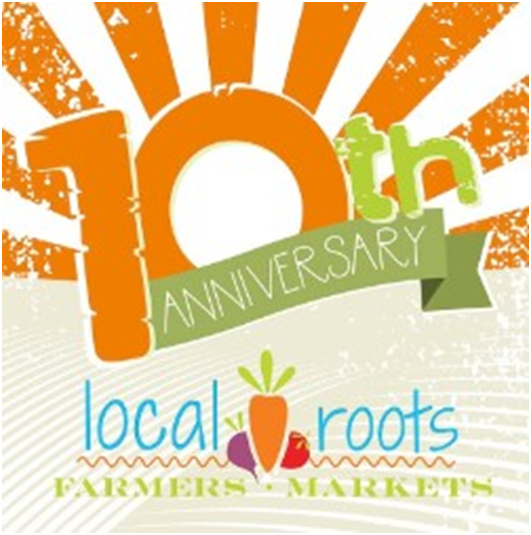 Local Roots Farmers Market, the largest organizer and producer of farmers markets in Lee County, announces its 2017-18 schedule of markets while celebrating its 10th anniversary of bringing the widest and best variety of fresh fruits, vegetables, foods and more to residents and visitors of Southwest Florida. Nowadays you can’t help but grin as you pass The Children’s Education Center of the Islands, the popular preschool affectionately known as “CECI,” located right around the corner from Ocean’s Reach. The little ones, with the help of their teachers, put together a sign of gratitude that reflects the thankfulness we all share. Thanks to Captain Shawn Kelly (www.tarponsnookredfish.com) for taking us on this drive through Sanibel and Captiva islands. His video was recorded just a week after Hurricane Irma passed by our area. 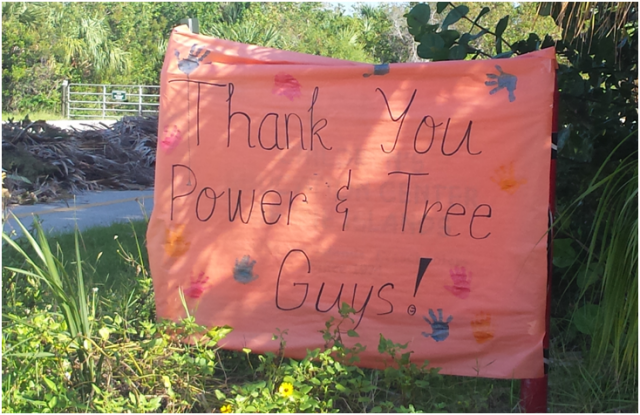 It’s amazing to see how quickly the island community came together to clean up and restore our beautiful surroundings. 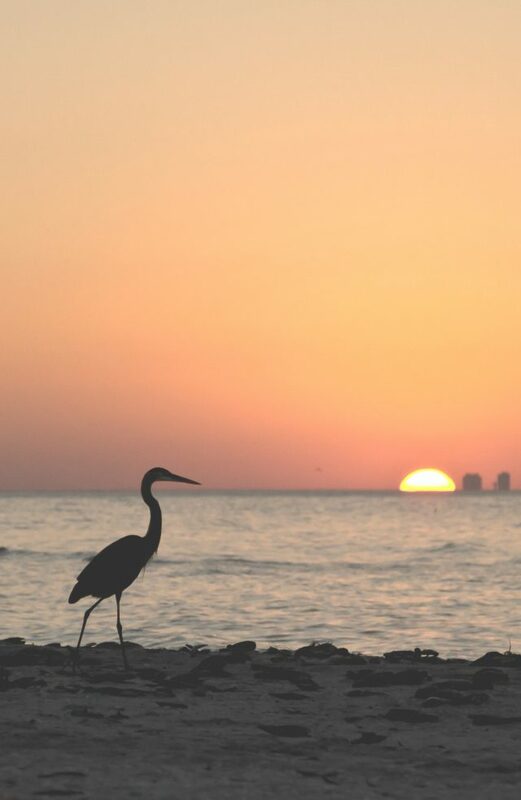 Sending you the warmest of greetings from everyone at Ocean’s Reach! As many of you know, we re-opened our doors on September 19th, just as soon as we could after power was restored post-Irma. We were blessed to have had a relatively mild impact from the storm, and our hearts and prayers continue to go out to those who took the brunt of Irma’s wrath. Thank you for all of the well wishes you’ve sent our way as we continue to clean up after Hurricane Irma. We are so blessed to have had a relatively mild impact from the storm, and even more blessed to have received such wonderful support from so many of our guests through the years. As they say, after every storm the sun always shines. 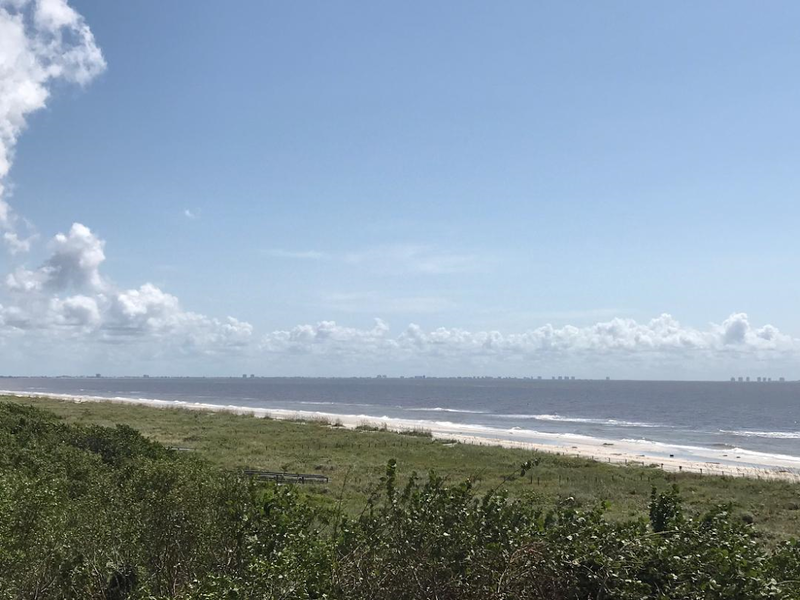 Andy took this photo yesterday (Tues, 9/12) from Unit 1D4, overlooking Algiers Beach. Hurricane Irma has passed and Ocean’s Reach weathered the storm very well. 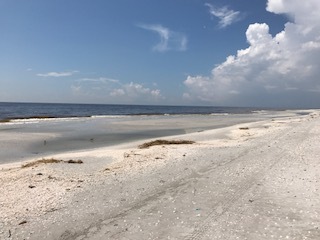 Andy had a chance to check the complex and reported that, aside from some debris and one downed tree, it appears that we “escaped the big bullet.” There has been no damage to the buildings and the beach for our section of the island looks fine. 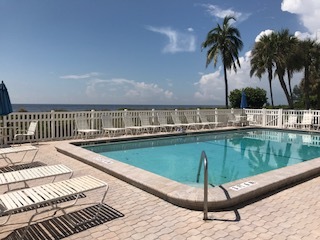 As Hurricane Irma moves closer to the State of Florida, Ocean’s Reach is diligently monitoring the storm, making necessary preparations and accommodating guests to the best of our ability. We do not know what direct impacts the storm may have on Southwest Florida. 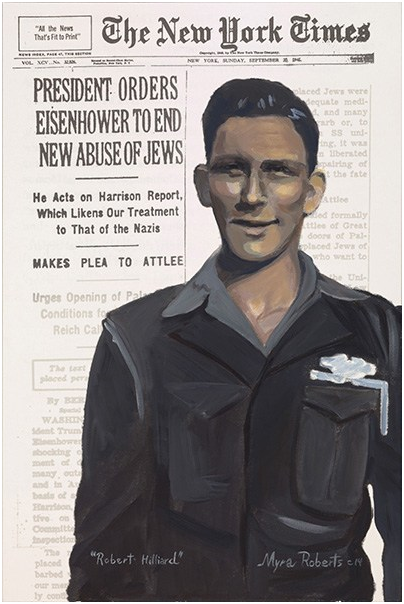 Painting by Sanibel artist Myra Roberts paying tribute to the actions of Robert Hilliard, whose letter pleading for humanitarian actions for displaced concentration camp survivors reached the desk of President Truman. The story made the front page of the New York Times. 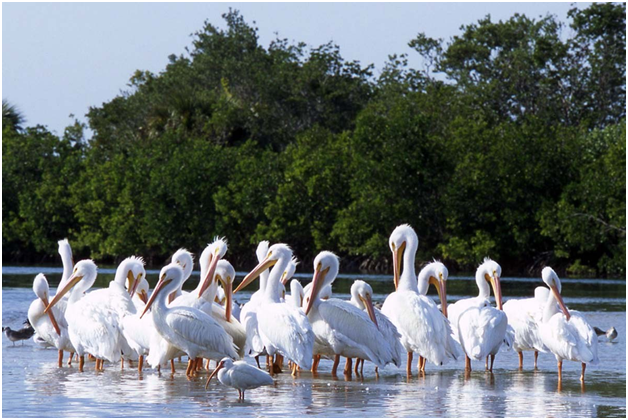 American White Pelicans at Ding Darling National Wildlife Refuge; photo courtesy of Naples Herald. His bill can hold more than his belican.